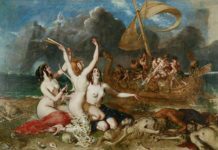 Greek legends often tell us about countless expeditions and stopovers on distant islands and shores. These legends actually recount episodes of the Greek colonization movement that took place in the archaic period of Greek history. The extensive emigration of Greeks from their homeland in the Aegean begun in the mid-eight century and it continued for over two centuries. This expansion was driven by two major needs: to provide citizens of the motherland more fertile land and to satisfy the Greeks’ growing appetite for imported goods. Other colonies were founded by Greeks who fled in front of foreign armies, or by over-populated cities with the intention to avoid internal convulsions. The process of founding a colony required careful preparation and it often involved the whole community. The polis that founded a colony was called “metropolis” (mother polis) and it was responsible for choosing a site for the new settlement, obtaining divine approval for building it, planing out the colony and choosing its official founder, also known as oikistes, among men of high status. The colonies remained linked to the metropolis by kinship and cult, as indicated by the sacred fire brought from homeland to the new polis by the oikist. The oikist was the most important man for the newly created colony. He was responsible for leading out the colonists, choosing the name of the colony, organizing the settlement’s defence, assigning land to the colonists and establishing sanctuaries for the gods. Oikistes who proved successful in founding and administrating a new colony were venerated as guardian heroes of the polis after their death. The ancient Greek colonization movement had two main phases, each of them lasting for about a century. The initial phase began at the middle of the eight-century and it was directed to the Western Mediterranean and to Italy; the second took place a century later and focused on the Black Sea and north Aegean. 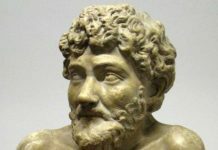 Euboeans were the pioneers in the colonization of Italy, by establishing a trading colony on the island of Pithecusae (modern Ischia) in the eight century BC. The success of the colony attracted both Greeks and Phoenicians, since the colony was well situated for exploiting the iron deposits on the island of Elba. 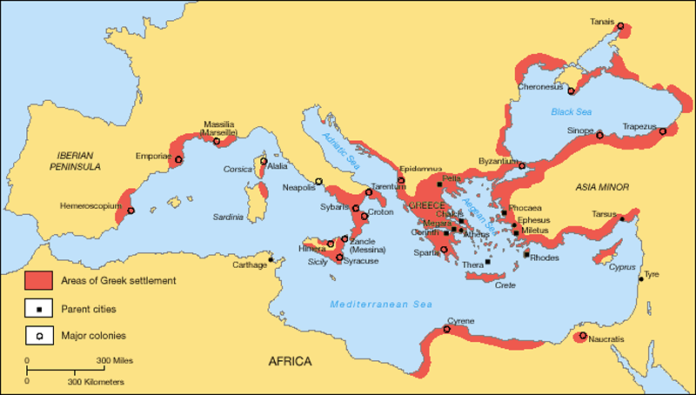 Western Mediterranean colonies included Cyme, Zankle, Rhegium, Naxos, Syracuse (8th century BC), Massalia, Agathe, Emporion (early 6th century BC), Antipolis, Alalia and Cyrene (late 6th century BC). Throughout the Archaic period the Greeks established new colonies in the east, focusing on the Black Sea. Some of the Greek colonies founded in this area became powerful and rich, among them Byzantium, which would become a thousand years later the capital of the Roman Empire, under its new name, Constantinople. Some of the eastern Greek colonies included Olbia, Tomis, Istria, Callatis, Panticapeum, Trapezus (on the Black Sea shores) and Abydus, Cyzicus and Phaselis (in Asia Minor). Greek’s relations with people who inhabited the lands where they settled colonies were complex. With the arrival of Greeks, the colonies became gateways through which different peoples of southern Europe and the Black Sea gained access to the Greek culture. Some of them eagerly embraced Greek art, religious cults and adapted the Greek alphabet. Cultural exchange worked in both ways, with Greeks adopting the cult of the Thracian goddess Bendis, which spread throughout the Aegean. In other cases, the Greeks were regarded as intruders and thus conflict with natives occurred frequently.